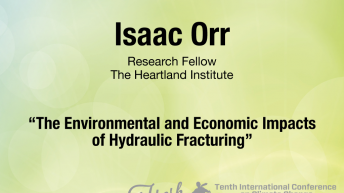 Since joining Heartland, Orr has written a Heartland Policy Study on fracking titled “Hydraulic Fracturing: A Game-Changer for U.S. Energy and Economies” and has coauthored multiple policy studies on frac sand mining, including “Environmental Impacts of Industrial Silica Sand (Frac Sand) Mining” and “Economic Impacts of Industrial Silica Sand (Frac Sand) Mining,” in addition to his article “Frac Sand Study Lots of Scare, Little Science,” published in the Milwaukee Journal Sentinel in October of 2014. His writing has appeared in USA Today, the New York Post, The Hill, Orange County Register, and Washington Times. 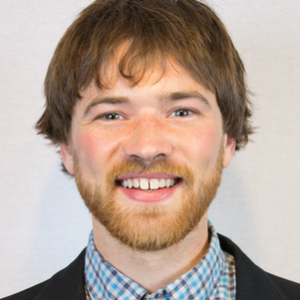 His work on fracking is also featured in an upcoming book entitled Alternative Energy and Shale Gas Encyclopedia, published by John Wiley & Sons, Inc. 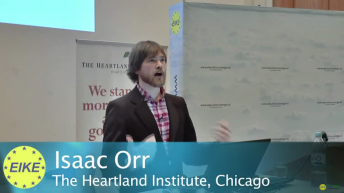 He hosts regular podcasts on energy and environment topics for Heartland.